Melissa & Doug creates yet another great product for your beloved little one. 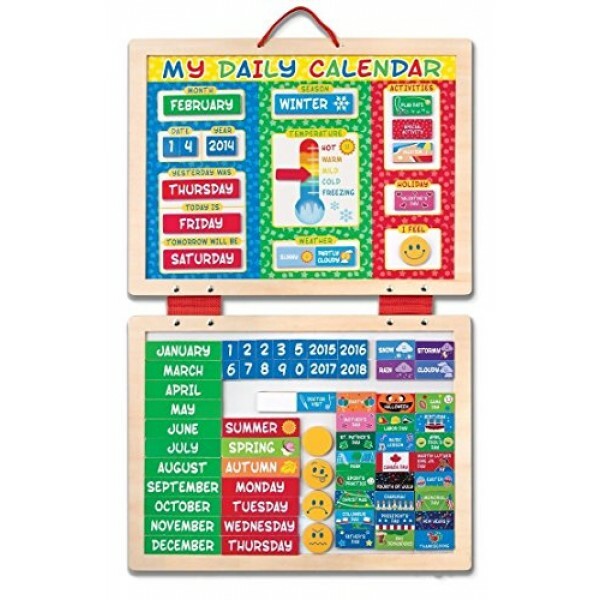 With the included fabric-hinged dry-erase boards (one with calendar template, one blank for magnet storage), your little one will be encouraged to communicate and reassure expectation about the events in his/her life. 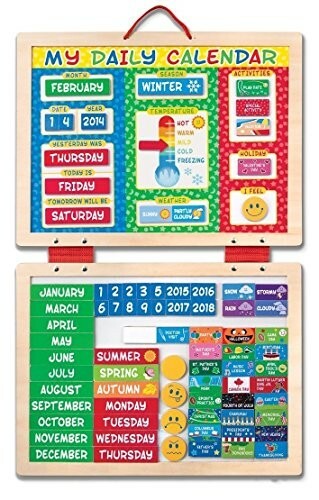 The set includes 80 magnets including years, months, numerals for dates, days of the week, holidays, emotions and special events.